Honestly! 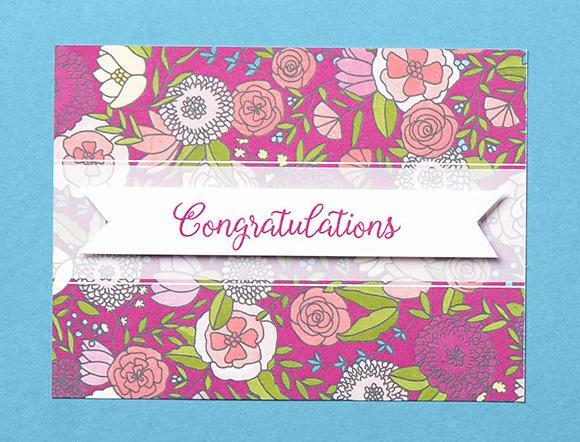 I have three of these Sale-a-bration Freebies! My choice may surprise you, but let me explain, before Sale-a-bration ends for this year (Sat March 31) you might decide you need a set or more too. You know I love the Playful Panda set. I have been showing LOTS of ideas with it! But that's not it. Paper is always a great choice when it is offered. 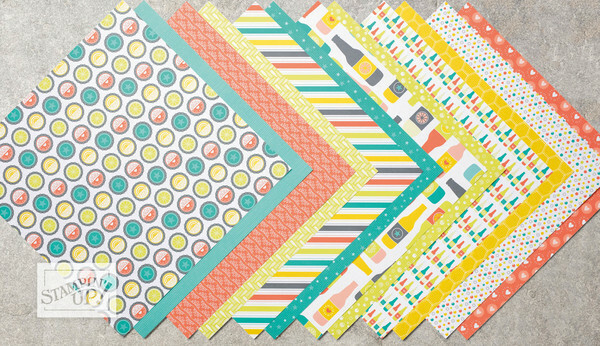 Right now there is the Bubbles & Fizz paper! I love the colors and patterns. Recently the Birthday Memories paper was added to the choices. One side has party animals and one side has pretty patterns in bright colors! 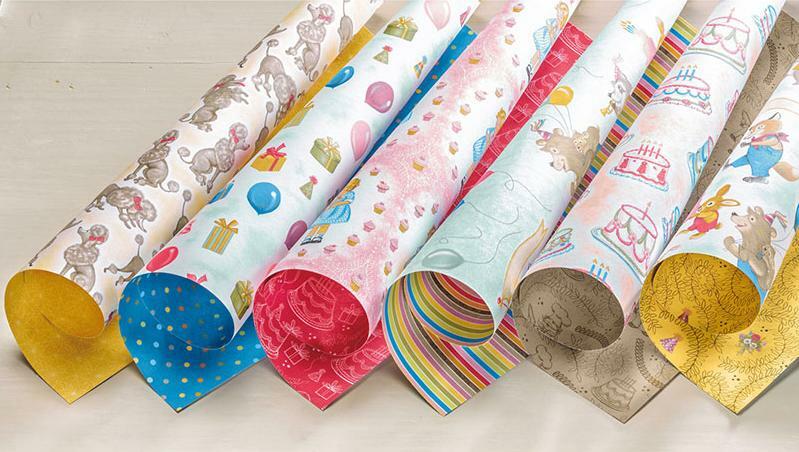 It is from the full-line catalog and has a cool bundle called Birthday Delivery that works perfectly with the paper. You can cut out the shapes with framelits and stamp greetings to make your birthday ideas. But, no these aren't it! Ok, but THREE of something?! Really? YES!!! 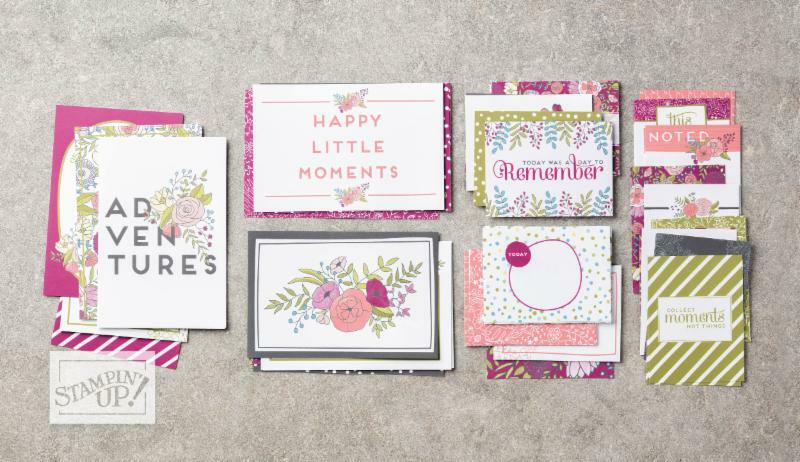 The Sweet Soiree Memories & More card packs! Are you surprised? Let me explain. You may have heard from my Facebook Page that I am scrapbooking for two high school senior girls. The graduation party is approaching quickly and will be held on Memorial Day Weekend. We are doing birth to senior year for both girls, so our pages have to be FAST but they must be PRETTY! The solution is the Memories & More card packs! 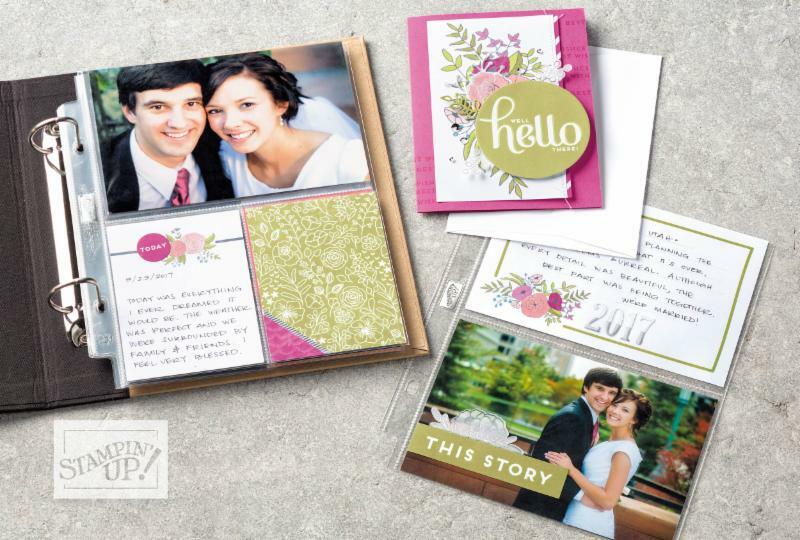 The card packs can be used in the pocket memory keeping format shown above, but I am here to tell you they work perfectly as an embellishment or journaling block on traditional pages too. Let me tell you about the MORE part of the product and the reason I got a third pack! CARDS! 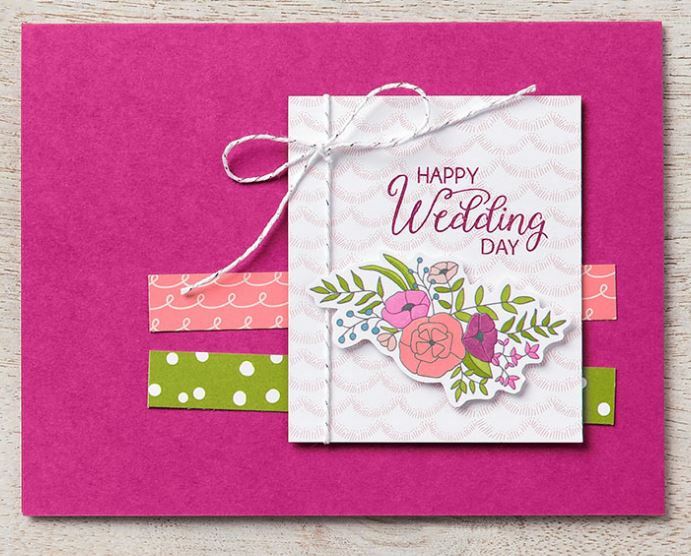 Drop one of the pre-printed pretty cards on the front of a cardbase and voila! A card is born! Nothing additional required if you don't have time! Sale-a-bration 2018! So much cuteness, so little time! Take a look at all the freebies available and make your list of which ones you want! Plan your order to earn them! Whatever you do, don't wait until Saturday to place your order. Your favorites might be gone! P.S. Time is running out on the BEST DEAL of all time! Choose $125 in product for only $99 - PLUS two free stamp sets of your choice! Check out the Starter Kit!